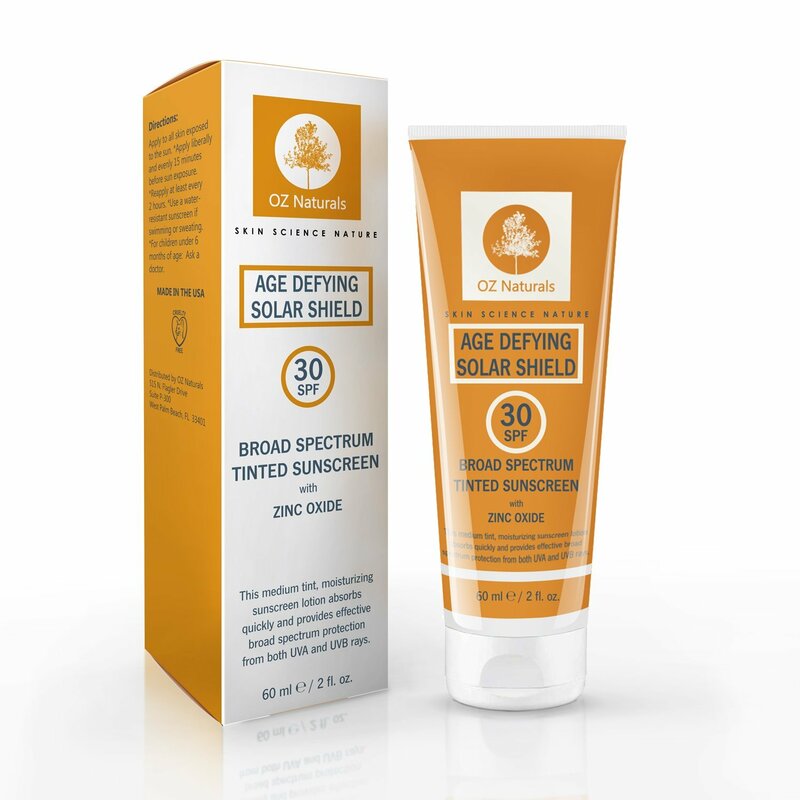 I really enjoy using product from OZ Naturals and I have to say that my favorite by far is their tinted age defying solar shield 30 SPF. 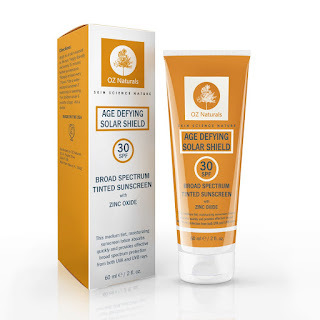 I just mix a little with my facial moisturizer for my face and spread a little on my legs so they don't look so pale in comparison to my arms which see the sun more often. 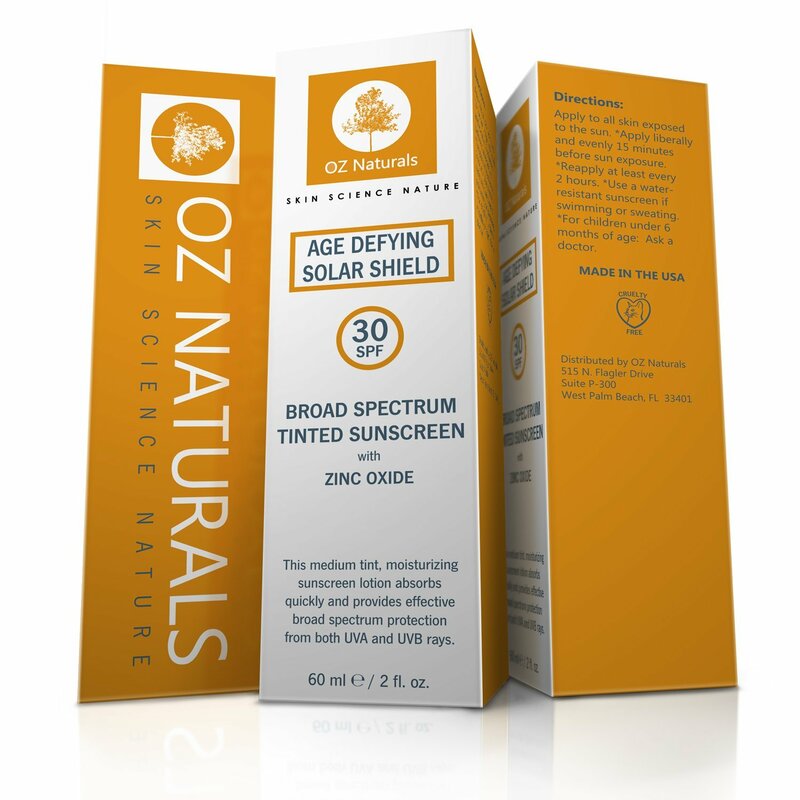 Easy to use, comes in a nice size tube. When just used for my face this could probably last me a year since I rarely use any other make up other then tinted sunscreen and lip gloss, although I would like to get back into it just a little. 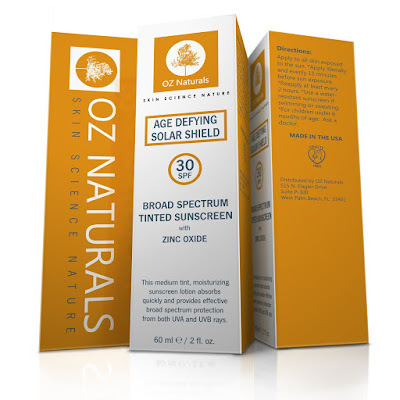 You can find OZ Naturals SPF 30 tinted age defying solar shield on Amazon.